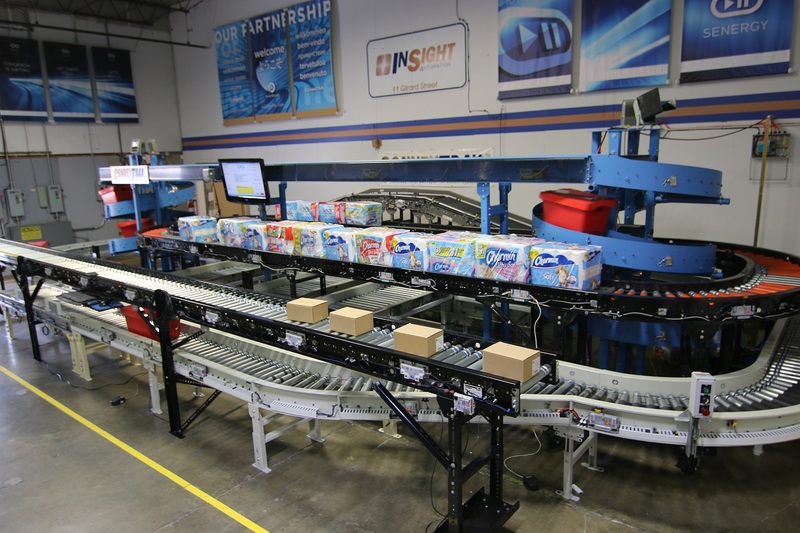 "Unlike many in this industry, Insight Automation has sought out innovative conveyor products to sell as well as the custom control system. Many of these are in the 24-volt DC product line with their motor driven rollers and control cards, but also with well thought through products in their distributed I/O product. Kudos to the Insight team!" One of the most important things you, our customers, do is tell us about the challenges and annoyances of building and commissioning conveyor systems. At Insight Automation, we strive to develop quality products and innovations that help you become more competitive during engineering, commissioning, and installation. We talk to OEMs, integrators, and end users everyday. We talk to engineers, maintenance professionals, and programmers. Every support call and conversation is an opportunity to glean the next best product innovation. Prepackaged conveyor controls—The PulseRoller ConveyLinx was developed to have basic controls built-in to control simple, low-voltage accumulation conveyors. An entire conveyor system can be configured with a simple press of a button, reducing the amount of time and money spent on getting your system up and running. Reduced conveyor controls from 4-zones to 2-zones—You told us that you rarely used all 4 zones of our conveyor controls. With ConveyLinx, we moved from legacy 4-zone controllers to 2-zone modules. With 2-zone modules, the lengths of motor and sensor cables are identical and practically eliminate the hassle of multiple extension cords. Distributed control—You want to save time in the field, so we introduced distributed control for our 2-zones modules with use for accumulation conveyor zones. You save time during installation because you no longer have to run all digital input/output and power back to a centralized main control panel. And, because it's a distributed system, you can easily perform mechanical and electrical maintenance without having to shut down the entire system since the low power is distributed from zone to zone. Ethernet—We added Ethernet to our latest controller to connect and be compatible with a variety of PLCs on the market using multiple protocols, Ethernet IP, Modbus, and ProfiNet I/O. Every single bit of software or hardware developed by or on behalf of Insight Automation is run and tested in our in-house Testing and Training Lab. Our Testing and Training Lab contains a full-size conveyor that can run and test zero pressure accumulation, sorting styles, PLCs, custom coding, and more. You deserve the best products and our Testing and Training Lab makes sure you get it.